Disney has been my passion for many years and I love the opportunity to share that passion with others. I have been married to my high school sweetheart for over 20 years and we are blessed to have an amazing, talented daughter. I have taught first grade for over 14 years and talk about Disney to anyone who will listen. I was born in Orlando and visited Walt Disney World when it opened for the first time. My family and I went numerous times before relocating to northern Florida. After getting married and taking my husband to Disney for his first time, we were hooked. 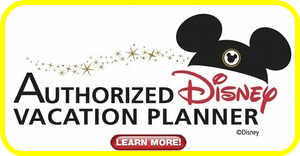 We became passholders, stayed at on site resorts, and attended special events at the parks. Our favorites are Mickey’s Not-So-Scary Halloween Party and Night of Joy. We have instilled our love for Disney in our daughter who has been to Disney over 35 times in her short 16 years. I started several years ago sharing my knowledge with friends and family and helping them plan their trips. 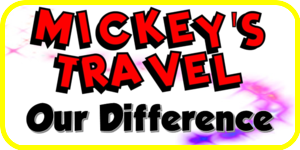 But it wasn’t until recently that I discovered “Mickey’s Travel” and realized I could share my passion with anyone. Please contact me today and I will be happy to help you and your family plan a magical vacation. Whether you plan to visit Walt Disney World, Disneyland, Aulani or cruise on Disney Cruise Line, I can assist you in creating memories that will last a lifetime!